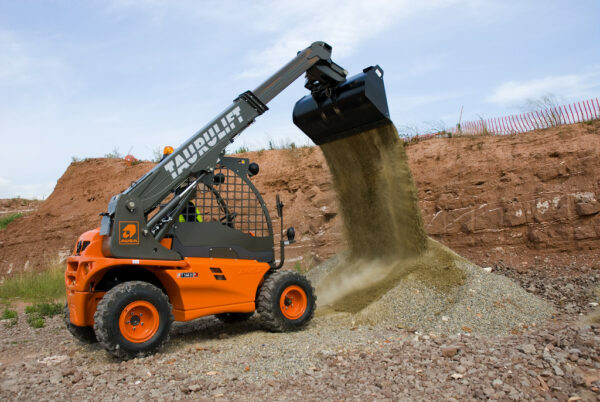 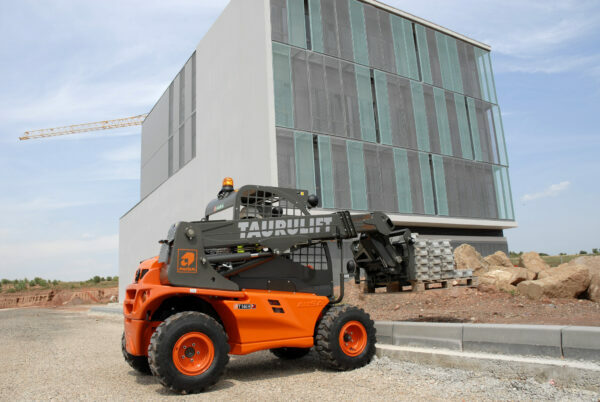 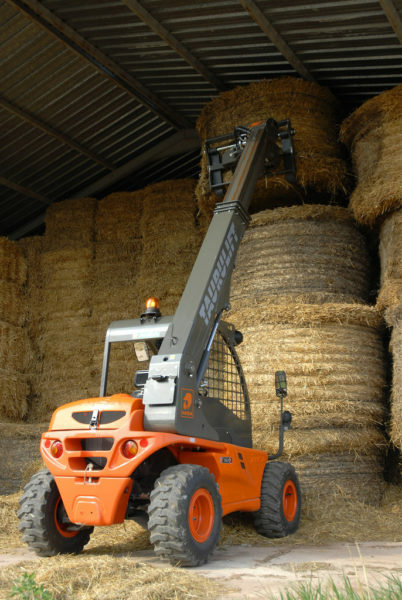 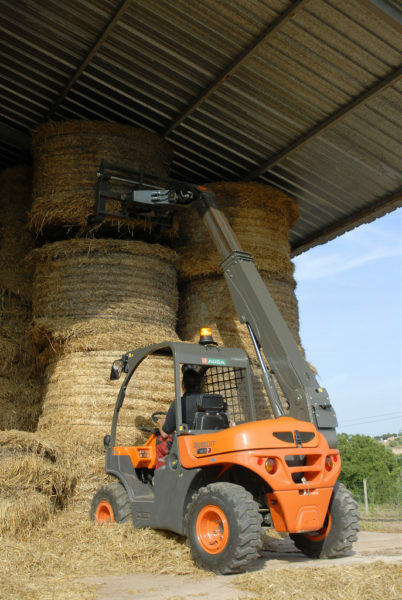 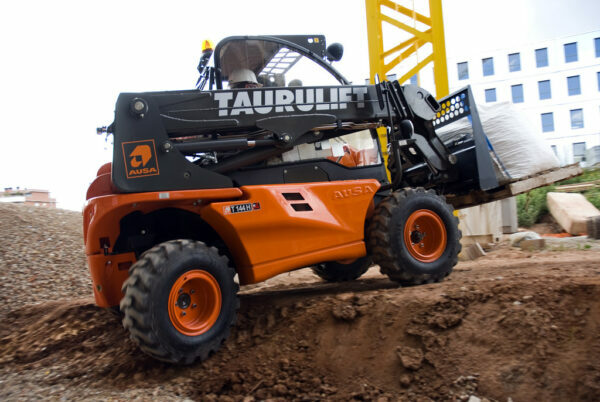 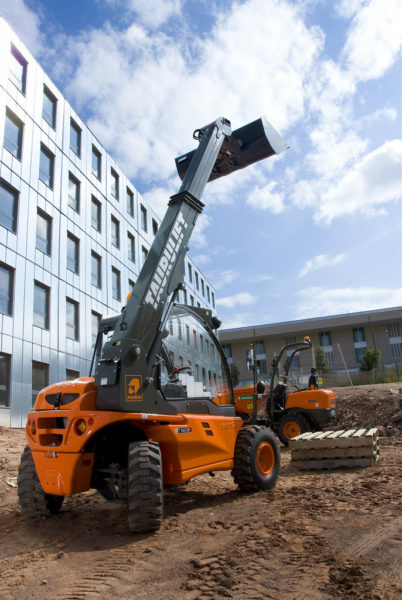 AUSA Taurulift T 144 H Plus is the lightest and most compact telehandler in the market. 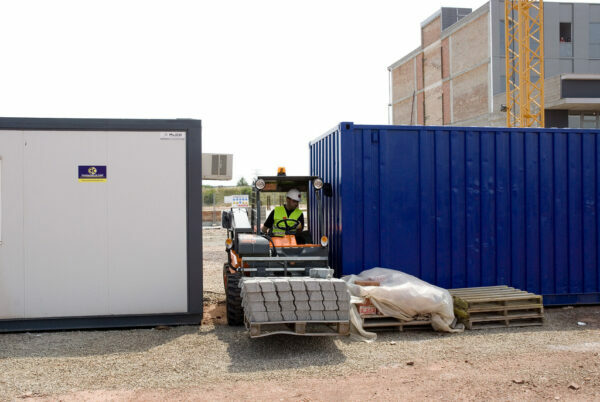 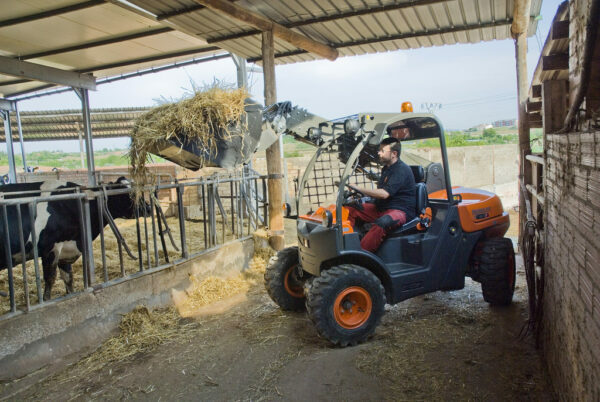 It is capable of handling loads up to 1,350 kg at a maximum height of 3,90 m. This machine can reach horizontally 2,2m with a 550kg load and it is the ideal equipment for professionals seeking the minimum investment and operating costs. 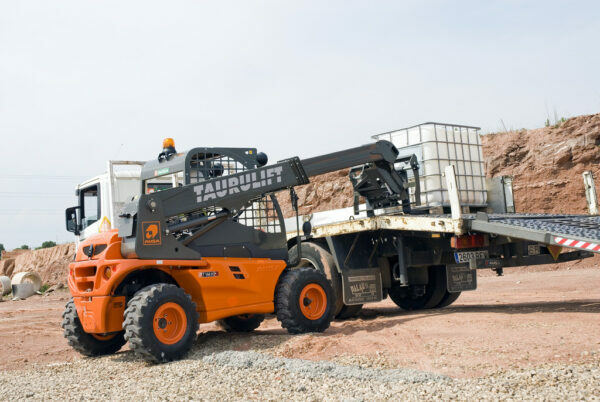 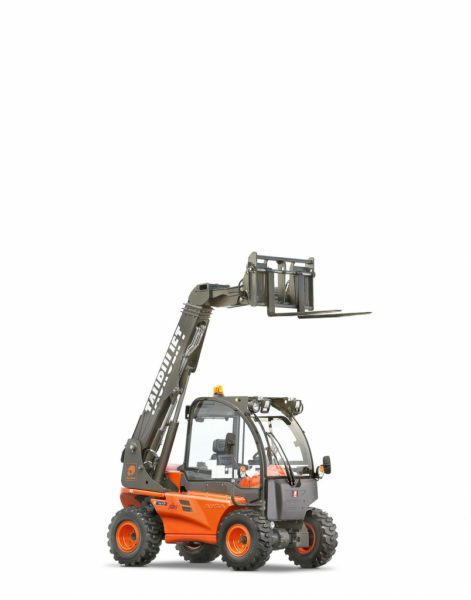 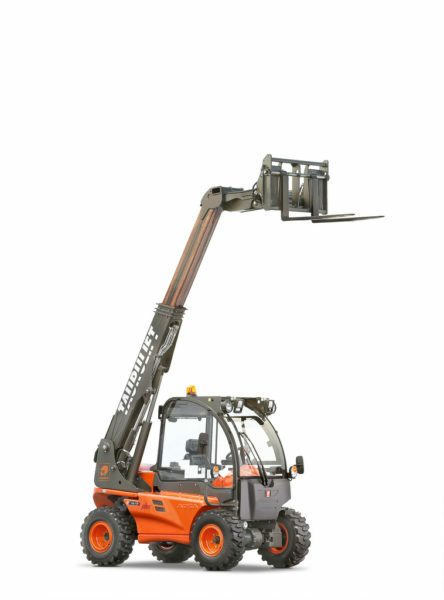 The T 144 H Plus is a light telehandler of just 2.4tn, well distributed between the two axles. 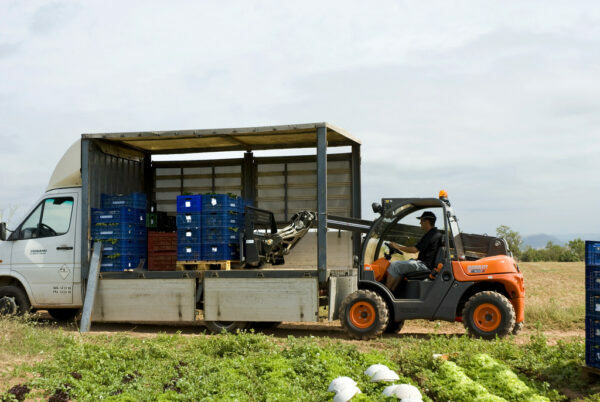 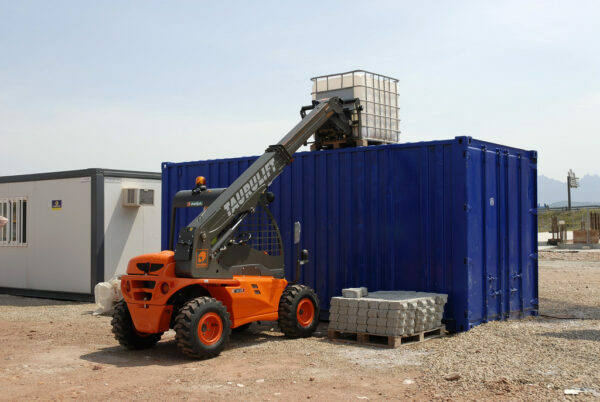 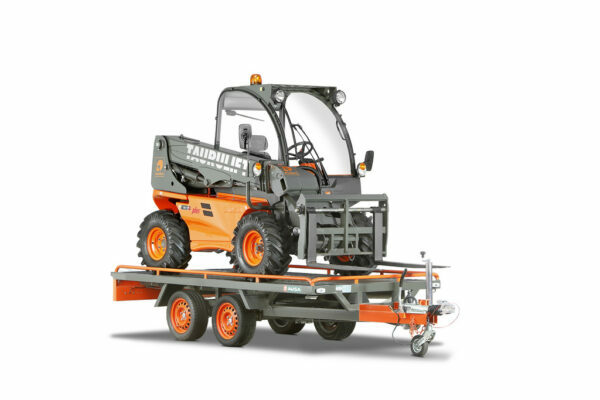 It makes possible to work on fragile grounds or even being transported on a trailer. 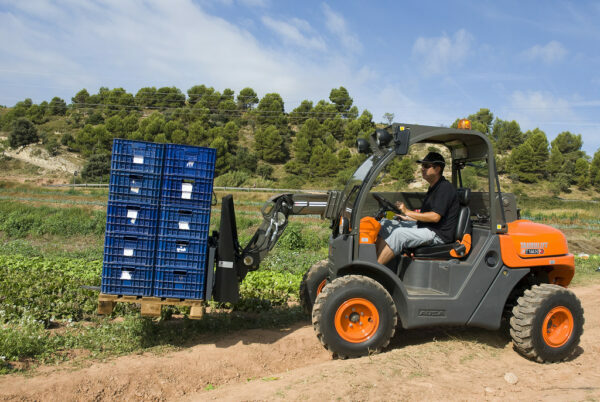 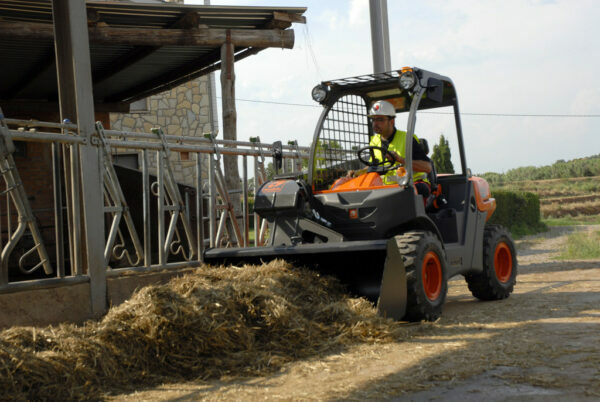 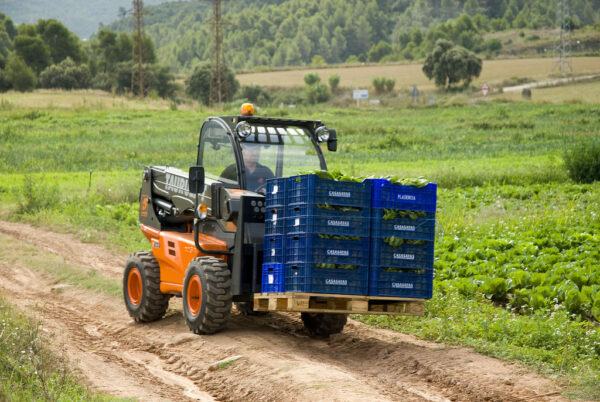 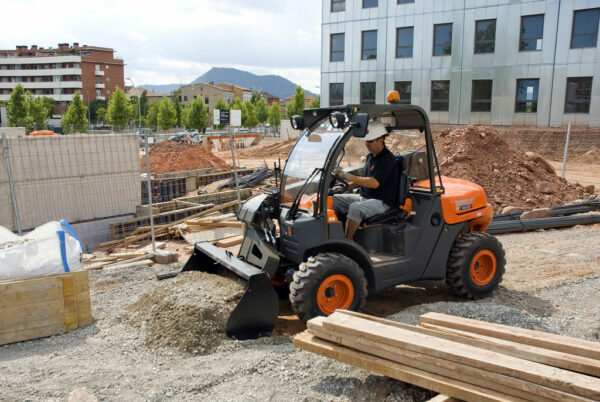 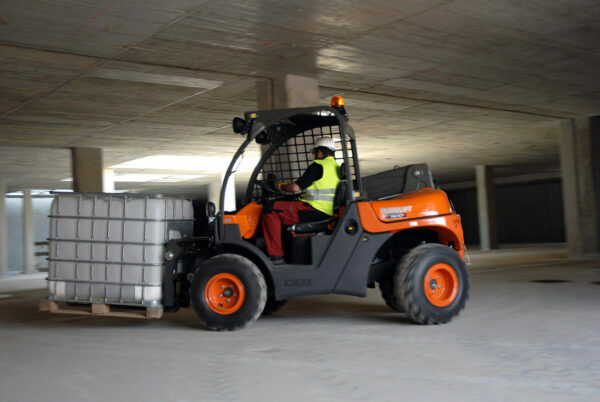 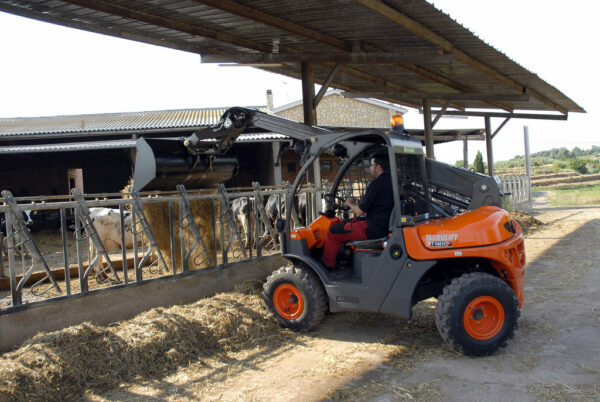 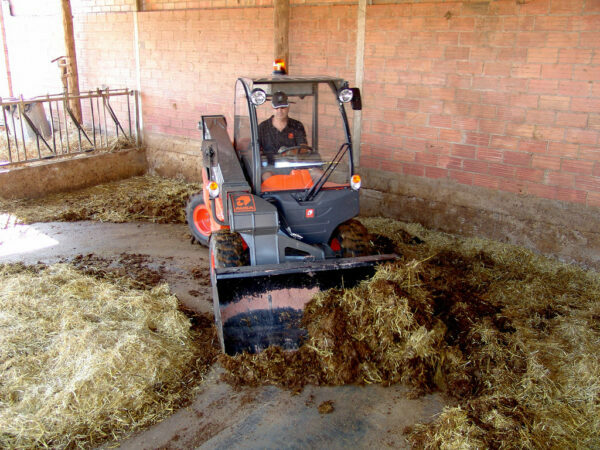 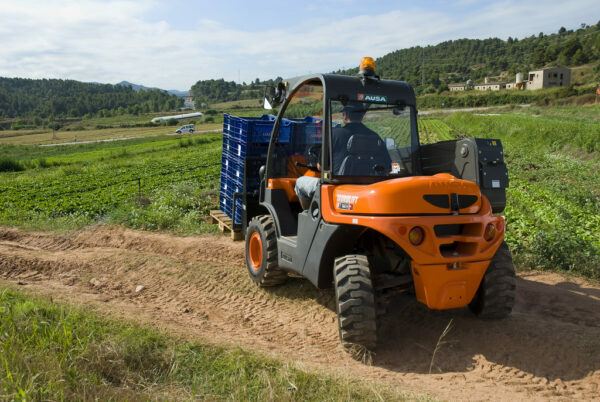 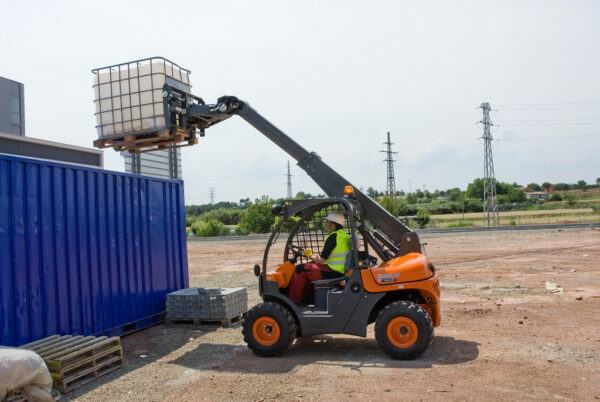 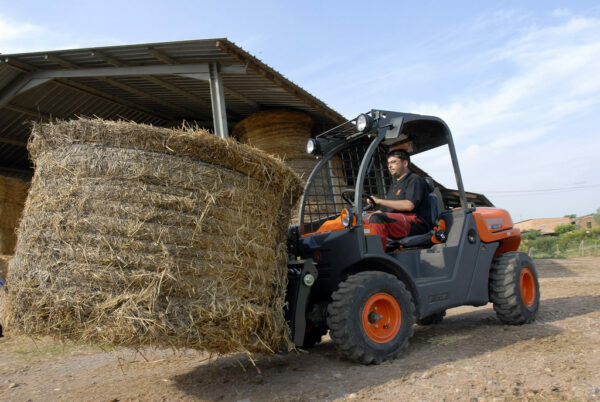 Rear steering wheels facilitates loading tasks with a turning radius of less than 3 m.
It is powered by a low noise and low fuel consumption 22.7kW Kubota engine. The AUSA exclusive designed hydrostatic transmission with an automatic anti-slippery system enhances the performance of the permanent 4WD transmission with a lower fuel consumption and tire wearing. 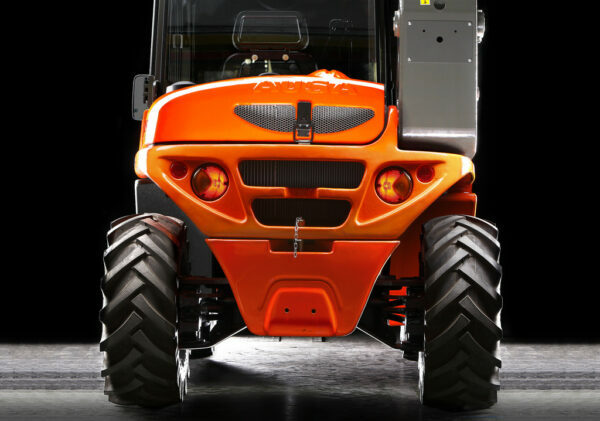 The cabin and the controls are optimized for ergonomics. 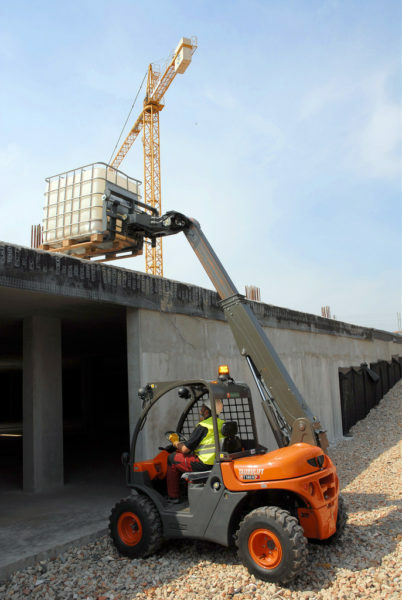 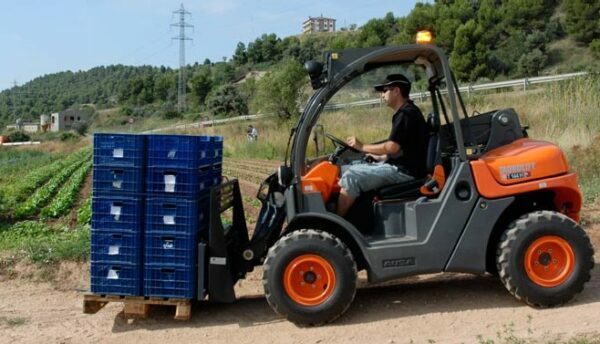 The spacious and easily accessible operator’s position has been created to minimize fatigue. 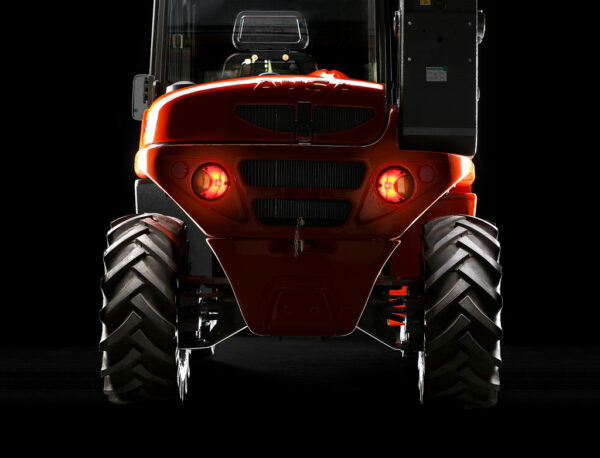 All controls grouped in a joystick for an intuitive operation. 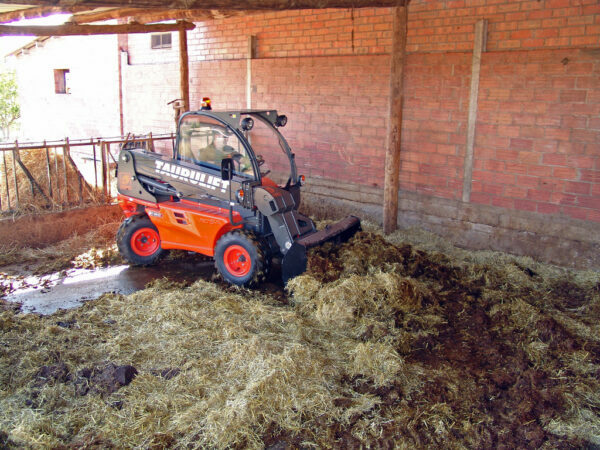 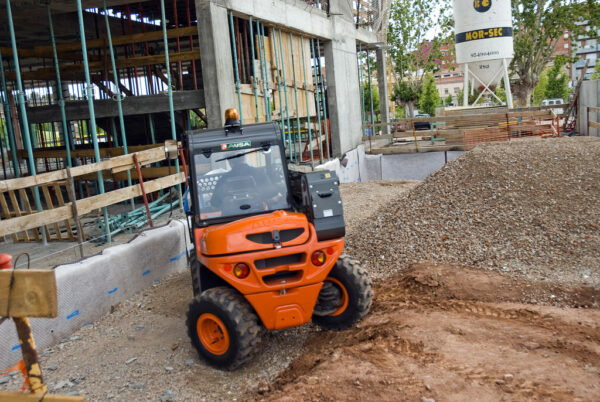 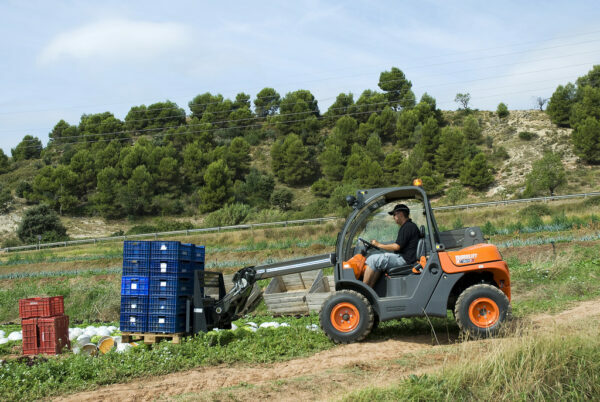 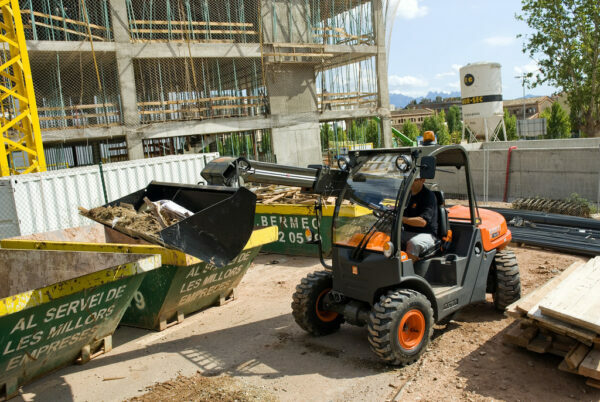 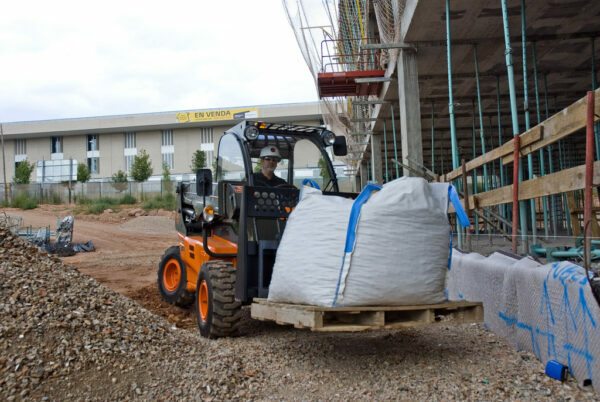 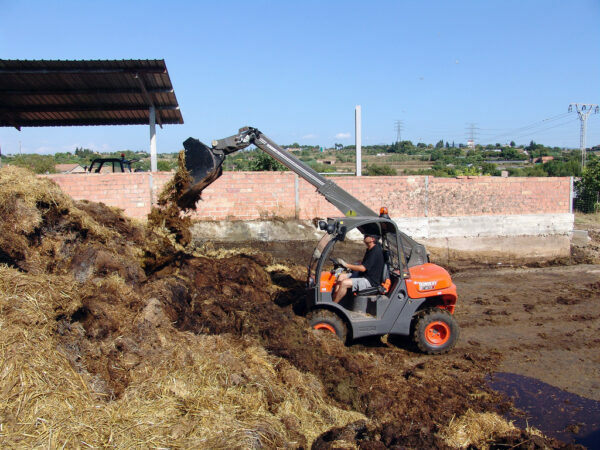 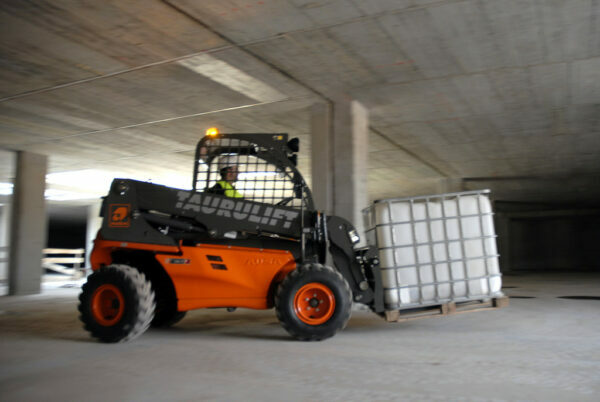 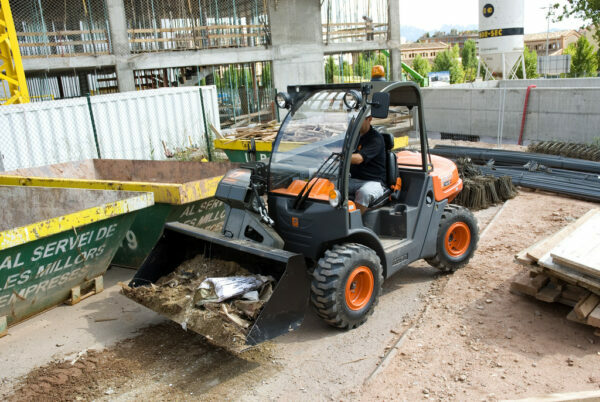 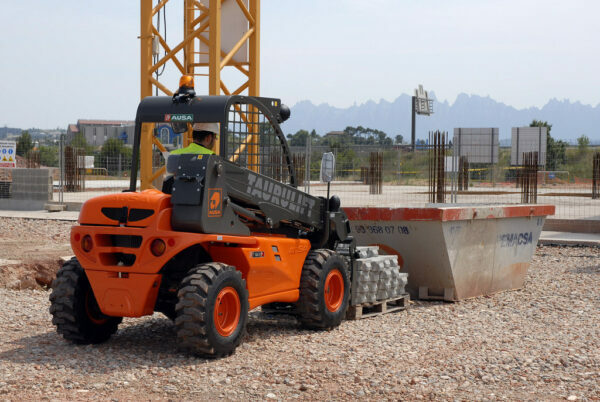 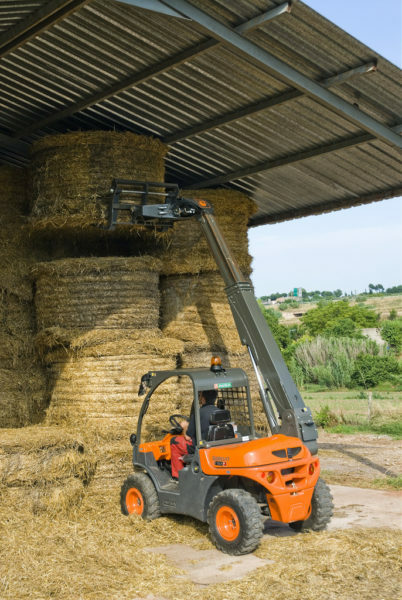 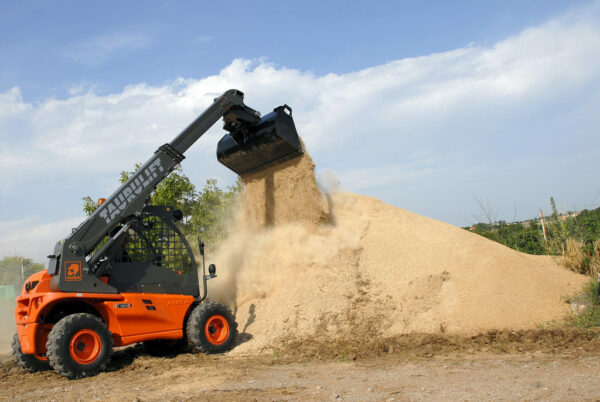 The T 144 H Plus telehandler is the perfect choice for handling loads in buildings under construction, farmlands, golf courses, cellars,… It is a functional alternative to a skid steer loader with better capacity, reach and lifting height. 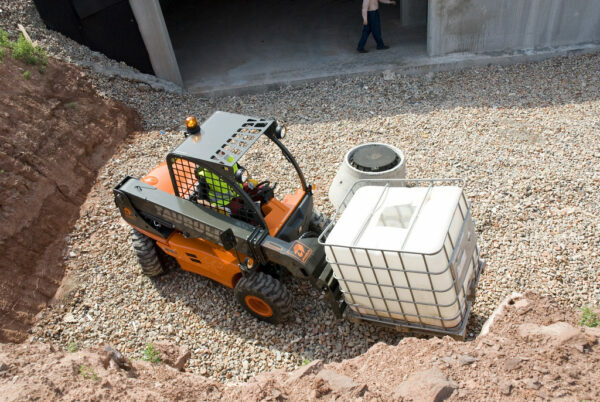 In addition, its compact size of just 1.94m, width of 1.41m and length of 3.71m allows to be used on confined spaces.